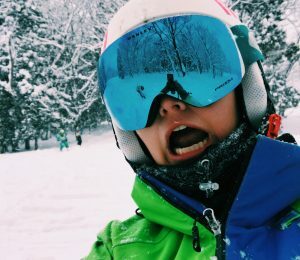 Words by SnoworksGAP 2016 instructor Kinvara Robertson on her GAP year. In October 2016, I embarked upon what proved to be some of the best weeks of my life. During my 8-week course with Snoworks GAP I learnt a huge amount of skills to develop my skiing and learn the skills of teaching the sport. This put us all in very good stead for the BASI level 1 and 2 exams we were about to undertake. Firstly, Level 1 was in our second week of the course and took 5 days to complete on the Tignes Glacier. We were required to perform short turns, long carving turns; central theme (consisting of sliding, basic snow plough, plough turning and plough parallel skiing) and we had to give two short 5-minute lessons to our peers and examiner. Level 2 was then taken in our final 2 weeks that consisted of the same elements as level 1, yet required a more progressed/ higher standard. For example, instead of having to deliver one short lesson, we gave several lasting 10 – 15 minutes long. Alongside the outstanding requirements, skills such as bumps and steeps were also tested. Although level 1 and 2 are classed, as exams and can seem quite stressful, it is a continual assessment rather than having to perform your best on a ‘judgement day’. This gave it a more relaxed feel and with the trainer giving you constant feedback and support, your skiing improves greatly throughout the assessment period. In my opinion, 8 weeks is the perfect amount of time in which to gain these qualifications, whilst dramatically improving your skiing and enabling you to immediately embark on a ski instructor role. 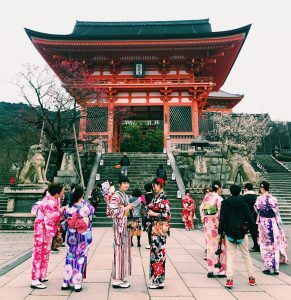 When I thought about where I would like to go after the course, I was really keen to head out to Japan for part of my GAP year, as I wanted to experience something completely different to European skiing and its culture. 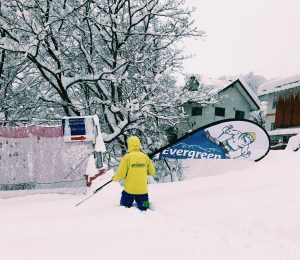 Fortunately, SnoworksGAP had good contacts for various ski schools in Japan and I luckily got a job offer at Evergreen International Ski School based in Hakuba, along with two others from the SnoworksGAP course. We hadn’t applied for our working holiday visas in advance and so the ski school kindly agreed for us to do this over the Christmas Holidays and to join them in early January. Getting the visa was fairly straight forward- it consisted of a visit in person to the Embassy in London, to product the documentation required (a rough timeline of what I planned to do with my time in Japan, a short page on why I wanted to go and proof that I had 2000 pounds in my bank account). I would be more than happy to forward these to anyone interested in going. We flew to Tokyo Narita, and then from there it was around a 4/5 hour car journey to the ski resort that lies on the same Island, north west of Tokyo. We arrived at a great point in the season, as it had just started snowing really heavily. We couldn’t believe it when we woke up in the morning to see there was about 1.5 metres of fresh powder outside our door! That afternoon we went on an orientation to get to know the resort, and experienced some incredible off piste and the famous Japanese tree skiing. We then got stuck into work straight away, the ski school structure was 3 different age groups being adults, and children 7-14 and ‘yetis’ aged 3-6, which was then further spilt into 5 ability groups. Each week the rota varied and we would be assigned a particular age group, which was very beneficial as it meant we gained experience of teaching a variety of both age groups and abilities, as well as keeping it interesting and fun! Occasionally we would be assigned private lessons, however, they tended to give these to higher qualified and more experienced instructors. I particularly enjoyed teaching the 7-14 year olds, as it was great to see the rapid progress they could make over the week, as well as being able to put into practise all the fun teaching methods and games that I learnt with SnoworksGAP! A normal working day would be 9:30-3:30 with an hours lunch break, which if you were working with children, you got paid supervision (and a free lunch!). In terms of free skiing, during busier periods such as Chinese New Year (and I understand Christmas period) we used to go skiing before and after work, as well as having optional training in the mornings that was great. However, as the season went on, we got a lot more days off for free skiing that was fantastic. The great thing about Hakuba was that it is made up of many small specialist resorts. 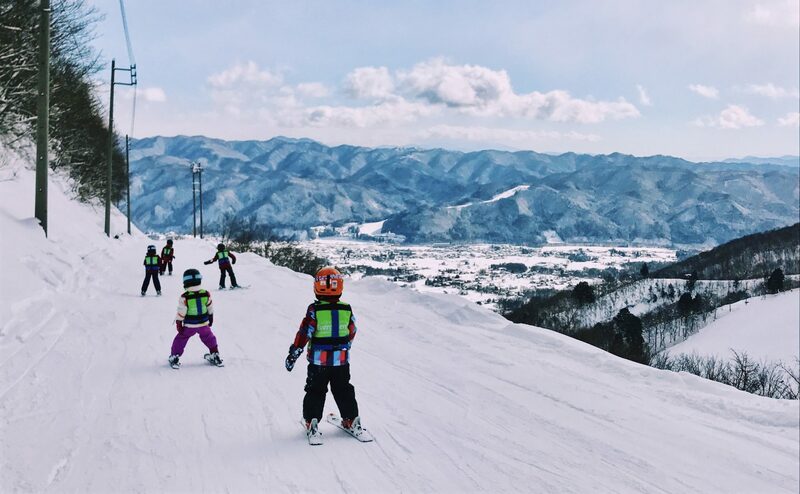 For example, our ski school was based in Happo One, which had the Nagano 1998 Winter Olympics men and women’s downhill which was incredible to ski down, being steep enough to carry speed in the chest deep powder! One could then easily venture off to other nearby resorts, such as Cortina, famed for its view of the sea from the summit, and others like Sugaiki with an amazing snow park and awesome tree skiing! Off snow, I had brilliant time too. Although Japan doesn’t have the ‘après ski’ of Europe, there were still plenty of bars and restaurants in the town close by, which we would go to most nights and have a good laugh! Many of the instructors were young like us, lots of Australians but also other Brits which made the whole experience that even bit more enjoyable as everyone got on so well. Due to Hakuba’s convenient location on the South Island, it enabled us to travel around for a few weeks after the season had ended (typically end of march/ early April) to take in some of Japan’s unique sites and culture. Our first port of call was Kyoto, an enchanting city where you’ll find the best temples and the heart of traditional Japanese culture. Then Hiroshima that was beautiful, as well as poignant. By contrast, Osaka was a crazy neon city and full of life, and then finally Tokyo has an interesting mix of all the above elements. 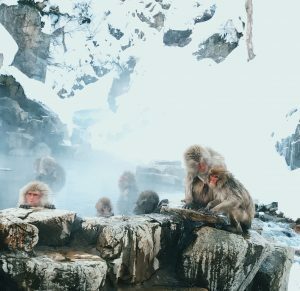 For myself, this was a major bonus of going to Japan, as not only can I say I experienced the renowned ‘Japow’, but I also explored one of the most fascinating countries I have ever been to. 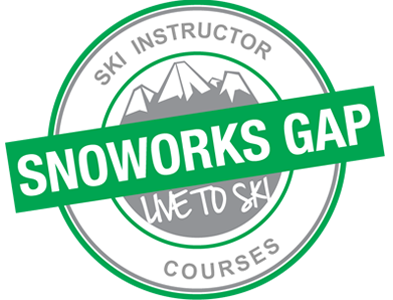 I cannot recommend SnoworksGAP course highly enough as it enables you to complete your BASI instructors course prior to Christmas, giving you the opportunity to work a full snow season. 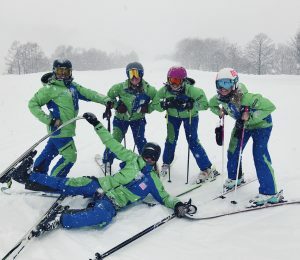 In addition, it affords you the chance to put your much improved skiing ability and new teaching skills into immediate practice, unlike any other available courses.